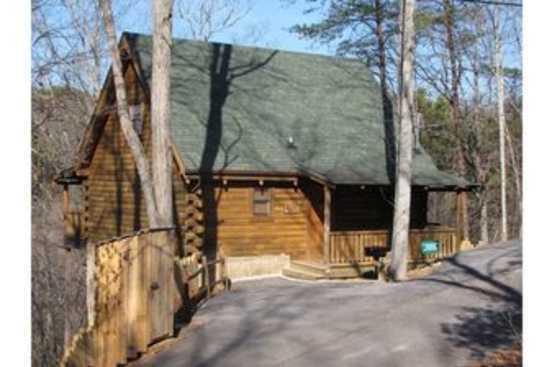 Welcome to Gatlinburg Summit located on top of a mountain range in the beautiful forestry of Eastern, Tennessee. These condominiums are between studio size and three bedrooms and can accommodate up to six adults comfortably. Amenities include breathtaking mountaintop view from your condominium, large indoor and outdoor heated community pools, wood burning fireplace, and cable television. Situated on a mountaintop overlooking the Smokies, Gatlinburg Summit is the ideal location for an Eastern Tennessee vacation. The resort area boasts both an indoor and outdoor heated pool and many mountain hiking trails. You won’t have to leave the resort area at all to experience a truly unique serenity with nature. If you do decide to venture outside the resort area, us at SMBYO.com suggests you take a short drive to the world-renowned Smoky Mountain National Park. The park boasts some of the best nature views in the country. The park also offers a variety of guided tours including freshwater fishing, hiking to hidden waterfalls, and white-water rafting. Gatlinburg and the surrounding areas are also known for their large array of unique boutique style retail locations. These retail outlets are sure to satisfy shoppers of all ages. SmokyMountainsByOwners.com is the best and most efficient way to find, plan and book your Eastern, Tennessee vacation rental property. From gorgeous mountaintop views in your condominium to traversing the peaks and valleys at Smoky Mountain National Park, Gatlinburg Summit and the surrounding areas have adventure and relaxation around every corner. Book now, we'll see you in the mountains!